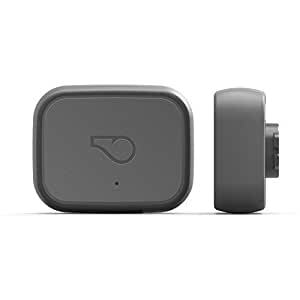 Meet Whistle 3—the best all-in-one GPS location and activity tracker for dogs and cats—Smarter pet care is here. 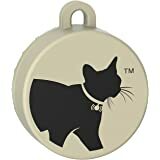 NATIONWIDE LOCATION TRACKING: Whistle uses advanced GPS and cellular technology to pinpoint your pet's location depends on the Wireless coverage. on AT&T, America's largest network. TRIPS: Follow your pet’s location over the last 24 hours to see where they went and when. 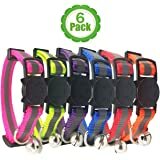 MONITOR ACTIVITY: Track your dog’s daily activity and rest to keep your companion in great shape for their age, weight and breed. Sold by DistroTech and ships from Amazon Fulfillment. Sold by Bemix Art and ships from Amazon Fulfillment. 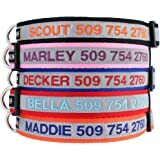 Reflective Personalized Dog Collar, Custom Embroidered w/Pet Name & Phone - Blue, Black, Pink, Red & Orange Collars for Boy & Girl Dogs; 3 Adjustable Sizes: Small, Medium, Large. Highly Reflective. Once you received your Whistle 3, you will follow the instructions to setup in our free Whistle app. The app will walk the user through setting up the device as well as selecting a subscription plan. 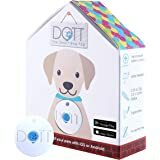 Once device has been activated in the app, you will attach Whistle 3 to the pet's collar and can begin tracking from your smartphone. 5.0 out of 5 starsDo You Know Where Your Dog Is? 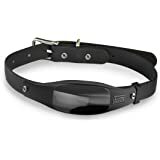 I purchased my Whistle 3 from Amazon about 3 weeks ago to keep track of my escape artist, and wide roaming, Siberian Husky. 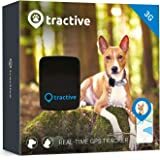 I live on a ranch in the mountains of very rural western Colorado where finding a fast traveling dog is virtually impossible without a GPS tracker like the Whistler 3. A lot of thought went into designing this product. First, there's the physical unit that is small (approximately 1.6"x1.3"x .6") and weighs less than an ounce. 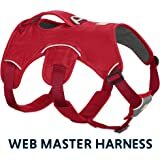 It attaches easily and securely to collars up to 1" wide. 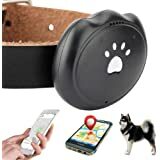 It uses GPS to determine location when your dog, cat or T-Rex is away from "home" and then sends the location to your smart phone via 3G cellular service (no SIM card purchase required). GPS and 3G is important. 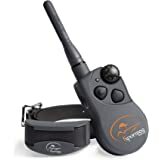 There are a lot of pet trackers that use Bluetooth, which has a very limited range (100 feet max), or if they use GPS, connect to the cellular network via 2G, which unlike 3G, doesn't have complete US coverage. On several occasions, I've tested Whistle’s location accuracy and in general it's within about 10 to 15 feet. The app shows a shaded circle around the pet’s estimated location that gives a sense of the accuracy of the estimate. 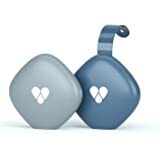 Whistle requires that you have Wi-Fi at home or where you want to designate a “safe place,” of which you can have several. 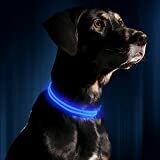 When your pet is within the range of designated Wi-Fi locations, Whistle switches from GPS to Wi-Fi to save power and battery time. And then when your pet goes (escapes) outside of Wi-Fi range, it automatically switches back to GPS. 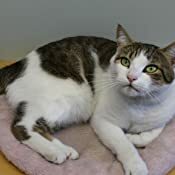 If your pet stays in home Wi-Fi range, you can assume about 5 or 6 days on a battery charge, but if continuously outside of its home Wi-Fi range assume 1 or 2 days on a charge. I try to keep my battery well charged just in case my escape-artist husky decides to go in an adventure. I don’t want it to run down while I’m in hot pursuit. Oh, and for those with hunting dogs, or other water loving creatures, the unit is waterproof. All too often the electronics of gadgets like Whistle are designed by brilliant engineers, but the apps that drive them appear to have been developed by crazed aliens from planet Blx!#}. Not so with Whistle. The app is really quite good. Setting it up takes about 10 minutes and is pretty easy. While at home or other designated Wi-Fi location, the app’s screen shows your pet within a shaded circle indicating the approximate range of the Wi-Fi router. You can set up the app to send you an alert, test or email when your pet goes in or out of Wi-Fi range. 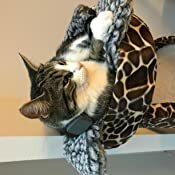 If you open the app while your pet is beyond Wi-Fi range, the screen will show your pet’s most recent location on a map, satellite or terrain view. You can also look at the track of any trips he or she has taken during the latest 24 hours. Location in tracking mode updates about every minute. 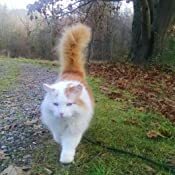 In addition to showing your pet’s location in either Location or Tracking mode, your location (cell phone location) is also shown on the screen, giving you an idea of how far away your pet is, and what direction to go to find him/her. There is also an Activity mode to give you a sense of how many minutes of exercise your pet is getting each day. Finally, the app shows you the percentage of battery charge remaining and sends an alert if the battery charge is low. If the unit is on the charger, the app will also send an alert when it’s fully charged. Though I haven’t had a reason to call Whistle’s customer support, I did email them with a question that wasn’t answered in their website’s FAQ’s and received a very understandable response within a few hours and an offer to take care of the issue. When I didn’t respond over the weekend, I received a second email reminding me that they would fix things if I wanted them to. That’s pretty good customer service in my book. 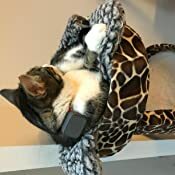 Though it’s difficult to tell from a couple of brief interactions, I have the sense that the folks at Whistle not only care about their customers, but their customers’ pets, too. There is a subscription charge of about $8 a month, if purchased annually, to cover the cost of cellular service to communicate between the tracking unit and your cell phone. For me, $8 is a small price for peace of mind when my four-pawed friend goes wandering. Particularly, if I can catch him. 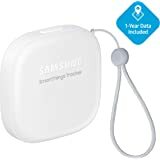 Note, the cellular service Whistle uses has nothing to do with the cellular provider you use for your mobile phone, so it works regardless of which company supplies you with cell service. One $8 subscription allows multiple pets and multiple “owners”—other family members or friends. All in all, this is one heck of a product. I heartily recommend it, and give it a 5-star rating. This device contains (at least) a battery, a GPS receiver, a bluetooth antenna, a wifi antenna, and a 3G antenna. When you open the box the are instructions that direct you to go to the app store to download the "Whistle 3" app. You cannot set up this device without a SMART PHONE (Android or iOS). Once you download the app and create an account, it prompts you to connect via BLUETOOTH to the device. There is no getting around this part. I imagine you could theoretically set up the device with a friend's smartphone, add a phone number or email address for SMS/email notifications to a different device, and then delete the app. Once connected via bluetooth, the app will prompt you to choose a WIFI network for the device to connect to and enter the password. At this point, it's important that your wifi router is actually connected to the INTERNET because the device will attempt a firmware update (This part is interesting, so I'll expand: You'll know the device wants to update firmware by way of a pop-up in the app. You can dismiss the pop-up, and the device will still work, but every time you open the app you'll be reminded that 'it's working on updating firmware'. I let it sit for several hours and it never updated, however, once I removed the device from wifi range and brought it back into range, the firmware updated within minutes... not sure why). The "Sleep Zone" is defined purely by wifi range. As noted above, as long as the device is within range of its wifi network (not sure if there can be more than one - I haven't tested - comments welcome), the device stays in battery-saving "sleep mode". If the device leaves wifi range, it "wakes up" (uses more battery), but will not send alerts unless it leaves or enters a "Location" as described below. Separately, in the app, you can define one or more *circular* areas on Google maps (right in the app) as "Locations". If the device leaves or enters one of these areas, you will receive a push notification. You can't 'draw' a polygonal Location, so no squares or other funny shapes. Just circles. These circles can be resized to quite a large area though, so I haven't found it to be problematic. This of course means you can make your Location significantly larger than the wifi range. Crucially, merely leaving the wifi range won't trigger an alert unless the device ALSO leaves the Location. ASIDE: I've only lightly tested this, but it seems that if the wifi range is _not inside_ any defined Location(s), the device will still stay in sleep mode until it leaves wifi, so to be very precise, it seems you won't get notified unless the device is outside of wifi and AND outside a Location. Awesomely, it turns out the only requirement for the device to stay in "sleep mode" is to be connected to a selected wifi network. So, contrary to what the 2 different support reps told me in spite of my repeated attempts to clarify, the wifi router does NOT need to be connected to the internet for "sleep mode" to work. Arguably, the device will need another firmware update in the future, at which time it would be helpful to connect to the internet - but I'll cross that bridge when it comes. So, amazingly, other than firmware updates, the device seems to do all of its communication via 3G cellular network. The implications of this are either really good or really bad, depending on your situation. For me, it's great, because I can set up a "dummy" wifi router in my mom's apartment that will keep the device in 'sleep mode' (saving battery), BUT, I can still communicate with it - which means I can see the location and, so, so amazingly, I can see the battery level too! This one aspect makes it worth every penny to me. On the flipside, if you live in an area with poor cellular coverage, expect to be frustrated. I would expect that even with strong wifi, you won't be able to "see" the device very well (I haven't tested, so comments appreciated here). Obviously, the fact that the device uses 3G means that you MUST purchase a subscription from them. I signed up for the 1 year plan for $7.95 per month and paid with a credit card - painless. There is also a 2-year plan for $6.95 per month, or you can do "monthly payments" for $9.95. Keep in mind, though, that "monthly payments" is a bit of a bait-and-switch, because you're still committed for a year. In all cases, you can cancel with 90 days if you're not happy. As noted above, another really cool feature is that you don't necessarily need the app installed on your phone to receive notifications. You can add a phone number for SMS messages (which needs to be verified with a code sent to a newly added phone), but that phone does not need to have the app installed. Email notifications are also available. Also, the app can be installed on multiple smart phones (you do have to share email and password though, so consider that), so my sister who lives out of state can also keep tabs on mom. Sweet! Overall, fantastic product. After 24 hours of testing, 5 solid stars because it's perfect for my specific application. Support, while perhaps ignorant of how the product actually works, is very responsive and friendly. I've set a calendar notification and will update this review in 6 months with battery performance and other learnings. Welp, unfortunately this update isn't going to be based on a lot of experience because, it turns out, mom didn't like wearing the thing and would regularly take it off and hide it. I actually spent several weeks looking online, going to jewelers, and even machine shops trying to find way to 'lock' it on to her ankle without it being ugly or uncomfortable - but also easy for me to remove for charging. Legalities aside, this was the only way to keep her from removing it. Unfortunately, before I could come up with a permanent solution she was picked up several times by the police for wandering and trying to enter random homes. So, yeah, that brought her life in assisted living, and the need to track her, to an abrupt end. She's now in a locked memory unit. That being said, we DID get to use it ("them" actually - I bought another so I could 'swap out' instead of sitting and waiting for it to charge) for a little while, and what I found is that even with wifi connected I could only get about 3 days out of each one. I was hoping for 6 or 7, but it was still the best thing going. Note: Keep in mind this was a year and a half ago, so I'm guessing/hoping the service has improved since then. For the times she did keep it on, it seemed to work pretty well, although I did sometimes get false alarms. The first time I got an alert I panicked and called the facility, but I soon learned to wait for a second or even third 'fix' to confirm she was really out of the zone. The one time it came in very handy was when the facility called ME to ask where she was, and I was able to tell them the general location. It turned out she had wandered into the neighboring wing - so she was still in her geofence, but outside of her living area. We never got the chance to 'road test' it in that she never wandered off while wearing it. I'm sure it would have worked, though, as any time I was transporting the swapped out unit back home I'd get an alert. Using a second device: I wish I had written this down while my memory was fresh, but as you can imagine, having a second device seems like a great idea for this type of application. Unfortunately it meant ANOTHER subscription plan to pay for, but it also came with some weird quirks/requirements. For example, you can't 'assign' both devices to the same 'pet' (mom was a pet in the app) and rotate devices like I wanted to do. Instead, I had to create a new 'pet' and assign the second device to it. Also, as I recall it wasn't trivial to disable alerts for the device I was taking home to charge. So, each time I'd leave the facility I'd have to send my sister a text to let her know I was leaving with it. None of these things were deal-breakers - just annoyances. 1. Let us purchase a second device and put them both on the same subscription, and give us a 'toggle' in the app to change which device should be active. I can't be the only person who wants to be able to 'hot swap' devices. 2. Create a way for the device to be 'locked' to the wearer. A fashionable, comfortable chain with a small lock would be great. I understand this potentially creates legal issues, but as legal guardians that's our risk to take. Anyway, if it came to that I'd feel just fine explaining to a jury why I put it on her. After all if such a device had existed, I'm confident mom would have been able to stay a locked memory unit for at least another 6 months and save taxpayers thousands at the same time. Extremely frustrating user experience. We downloaded the app, charged the device, paid the subscription fee, added "owners," and the device simply isn't working. On the app we all have a message that says the device still needs to sync with Whistle, and to put it back on the charger (even when it's already on the charger.) We've tried everything: logging in and out, resetting the device, restarting our phones, etc. There's nothing on the Help website that describes this issue so we don't know what to do. Customer service isn't responding and has limited hours. We are leaving our dog with our in-laws in a few hours and don't know what to do. IMHO if you charge a subscription and are responsible for the lives of pets, your customer service should be offered 24/7. I initially gave this product a very negative review. 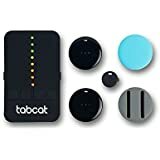 I was testing it out in my condo and it often times couldn't find the device or took a very long time. I turns out that my bottom floor brick condo is very close to being a dead zone when it comes to data and cellular reception. I get a signal on my phone but it is very weak. When using the device in more typical situations it performed exceptionally. I'd like to add that when there are a lot of competing products one of the things that separates one from the others is the customer service. The customer support I received from Whistle was far and beyond what I'm used to.